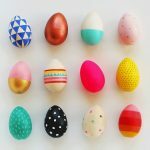 As you all know, I’m a huge fan of quick and easy craft projects that are both beautiful and functional. 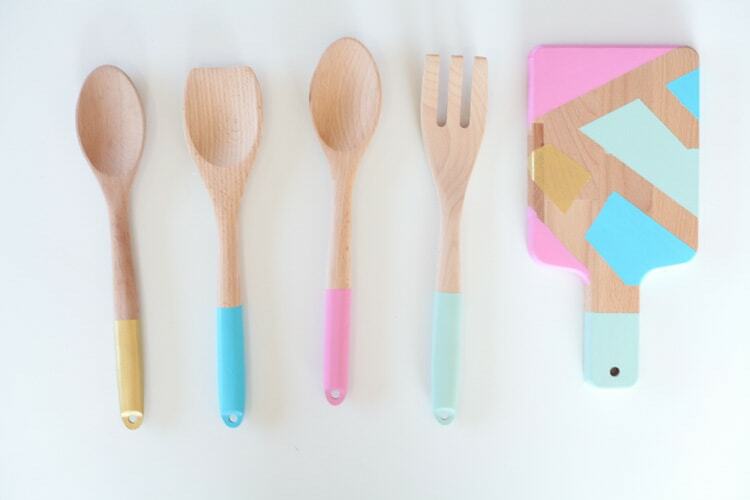 These color blocked utensils check every box on my list! 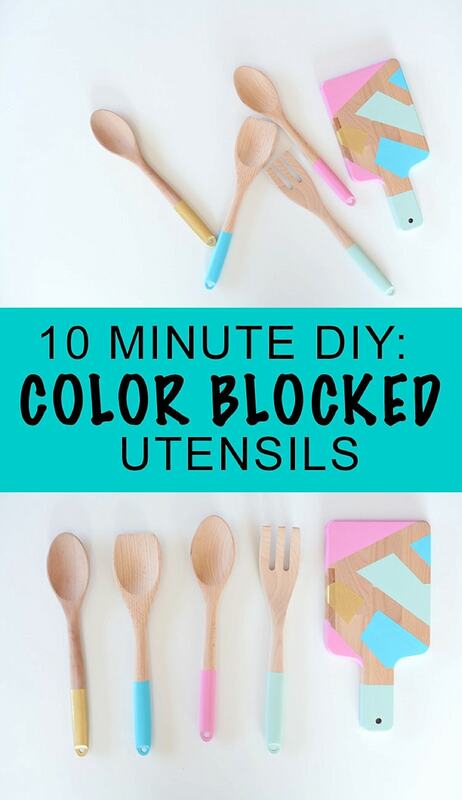 They are affordable to make and can be done in ten minutes or less. They are food safe and every time I use them to cook I just feel happier. Crafts do that to me! 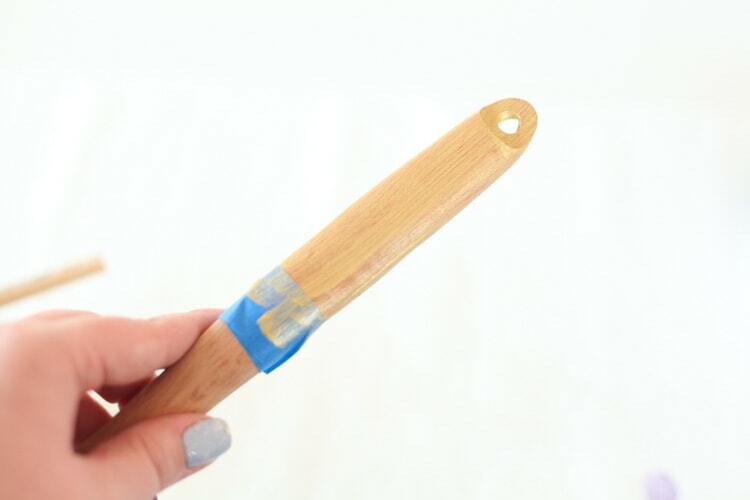 Shellac non-toxic sealer –> this one is what makes your utensils food safe! Don’t skip it! 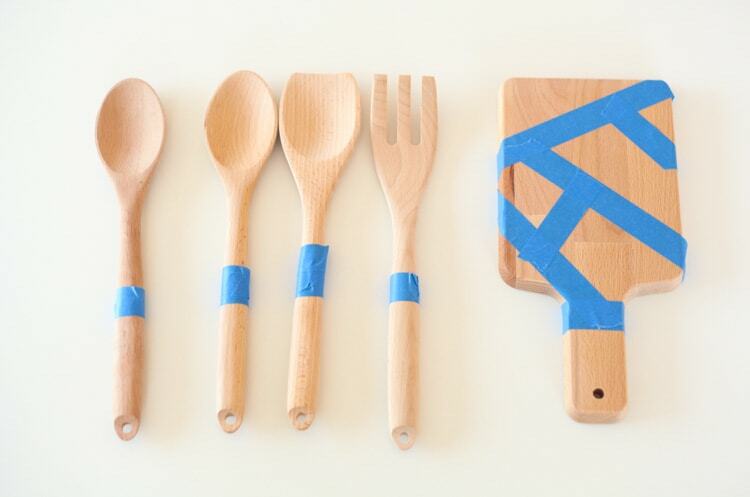 Start by taping off your utensils. For the cutting board, I decided to tape off a random pattern. 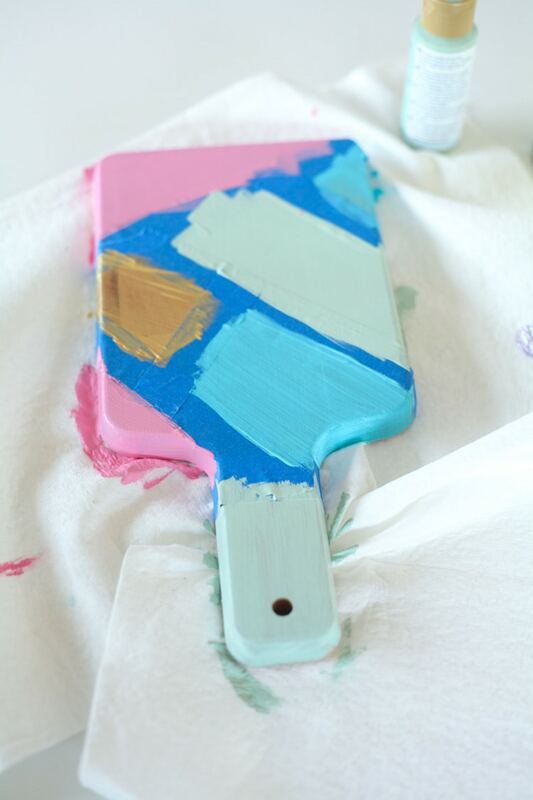 Then use craft paint to paint! 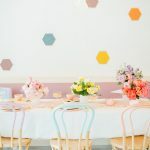 I used my favorite color scheme of mint, blue, pink and, of course—GOLD! 🙂 If you decide to use gold, just know up front you’ll need to do like 10 coats (worth it!). 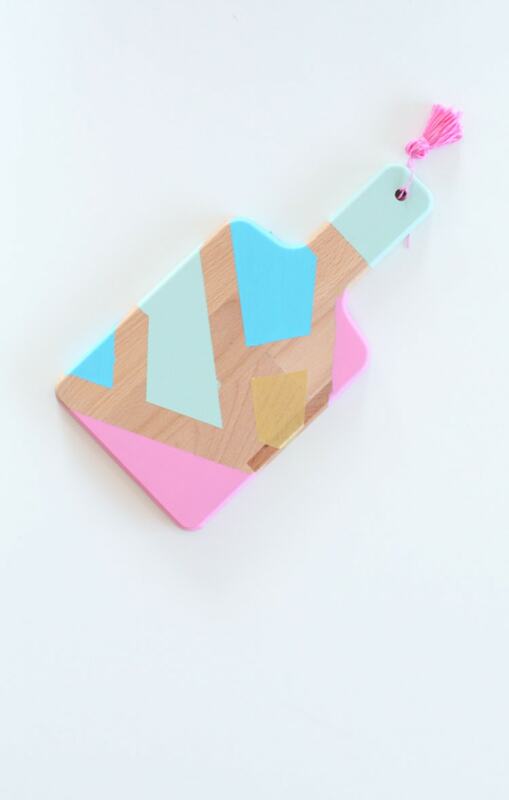 For my cutting board, I used the same color scheme. Take off the tape while the paint is still wet so your paint doesn’t chip, and let it dry for a few hours. 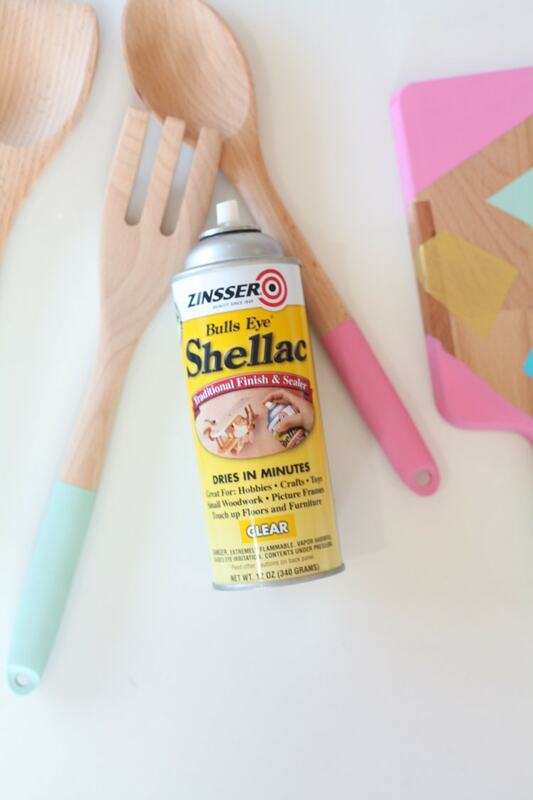 Once your paint is completely dry, use a non-toxic sealer like Zinsser’s Shellac. This step is really, really important. Without it, your items will NOT be food safe. Once it’s dry, you’re done! 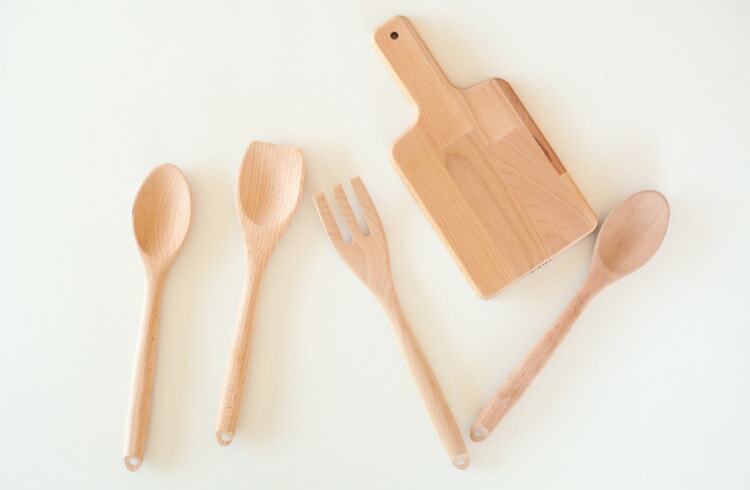 Your utensils are ready to use. These will need to be gently hand-washed. And, if you’re anything like me—you’ll get crazy and add a tassel. 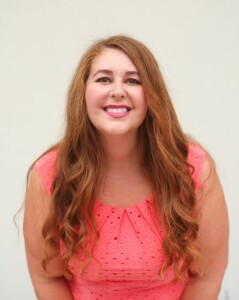 Tada! Give this one a try—it’s super easy! 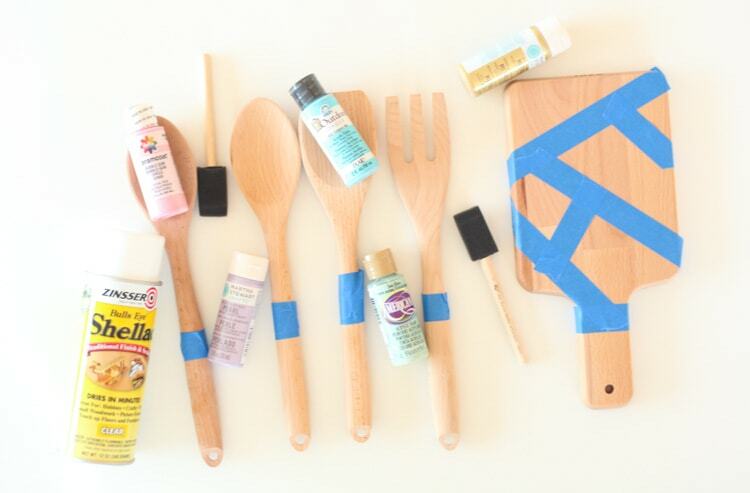 I tried this idea with a set of wooden utensils I bought at the dollar store. I wound tape around the handle, down to the end, and painted around it with a silver paint to create a spiral effect. It really looks pretty, and even though I have so many utensils, I keep these out to “show off” at the dinner table. Thank you for the great idea! I’m so glad you got to try this, Faith! Hope you enjoy them. It’s definitely a quick project but the results are so cute! So simple but yet so effective. love this! This tutorial is absolutely great. 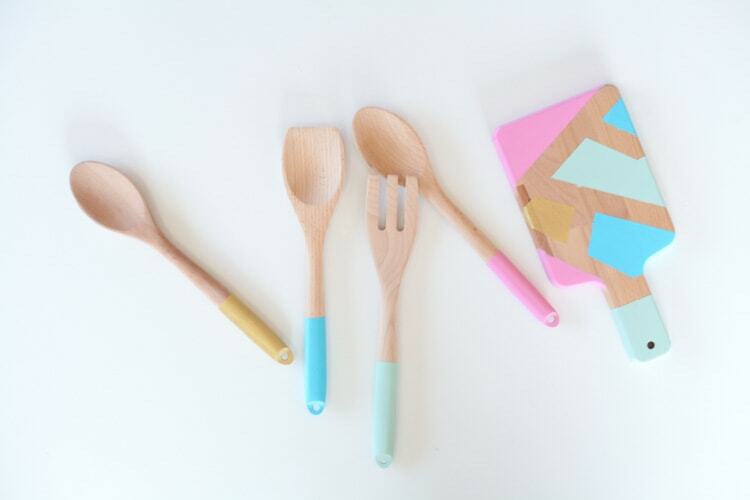 I saw a set of color block kitchen utensils that I loved…now I just might have to try making my own instead. 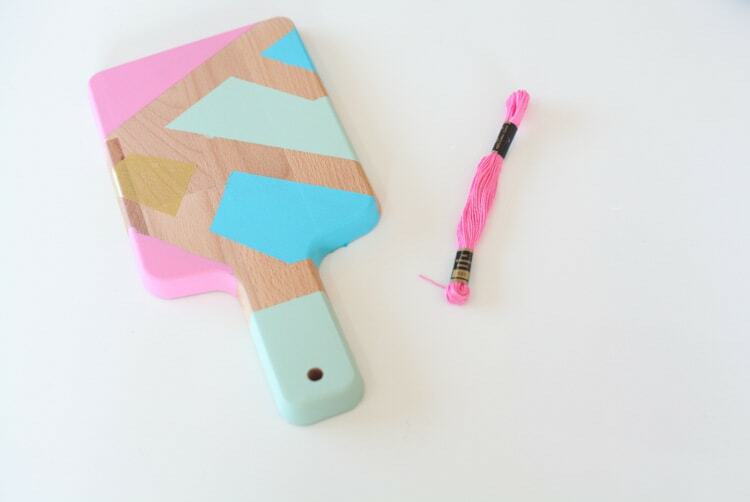 I would have never thought to do a cutting board, too! Brilliant idea and great post! I love this idea! Would even make cute personalized wedding gift! Added to my Pinterest queue. 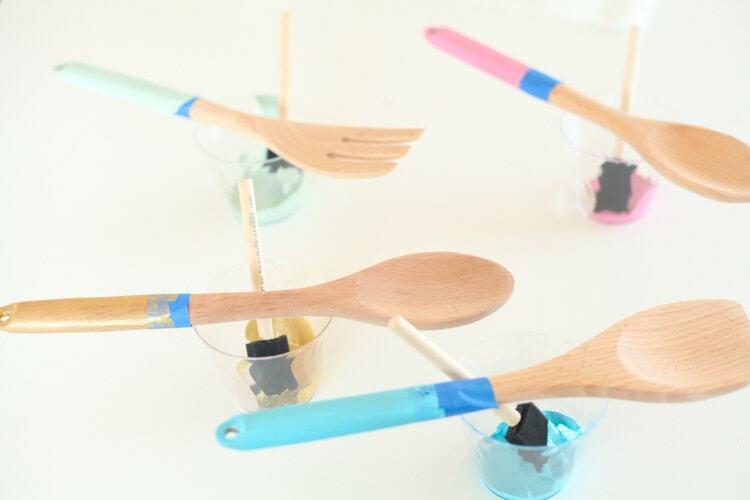 This would make such a fun wedding shower gift! 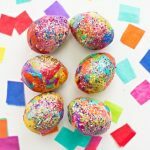 Thanks for the tip on the Shellac and for linking up with Funtastic Friday! Love these. I always wondered about how everyone was making this stuff food safe and now I know. Totally going to try.